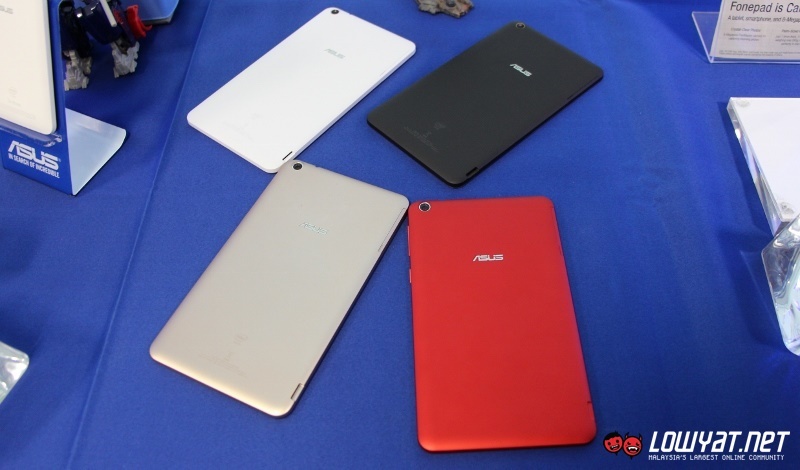 Here’s a quick question for you: how many variations of ASUS Fonepad 7 are there in the market at the moment? 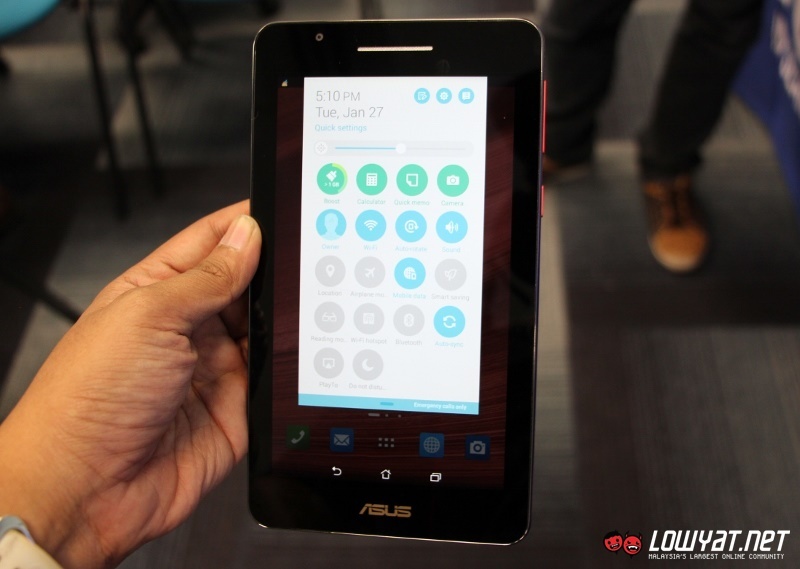 Well, we are not sure ourselves given the fact that ASUS has released plenty of them for the past few years but we do know that there will be another new variant of Fonepad 7 coming into our country this February. 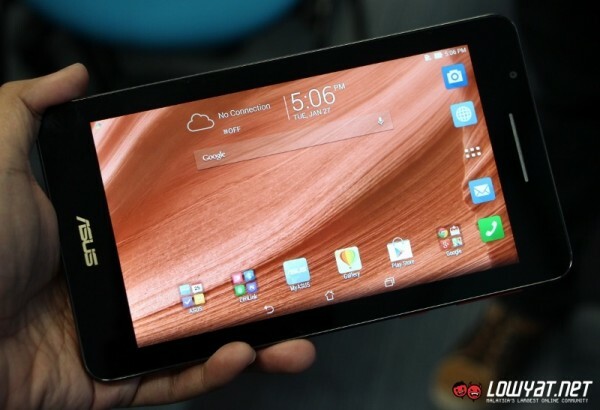 Also known via its model number FE171CG, this particular Fonepad 7 is generally considered as a higher end model as compared to the existing Fonepad 7 FE170CG. In fact, we were made to understand that the FE171CG has fondly been referred to as “Fonepad 7+” within retailer’s distribution channel since the FE170CG will continue to be made available in the market. 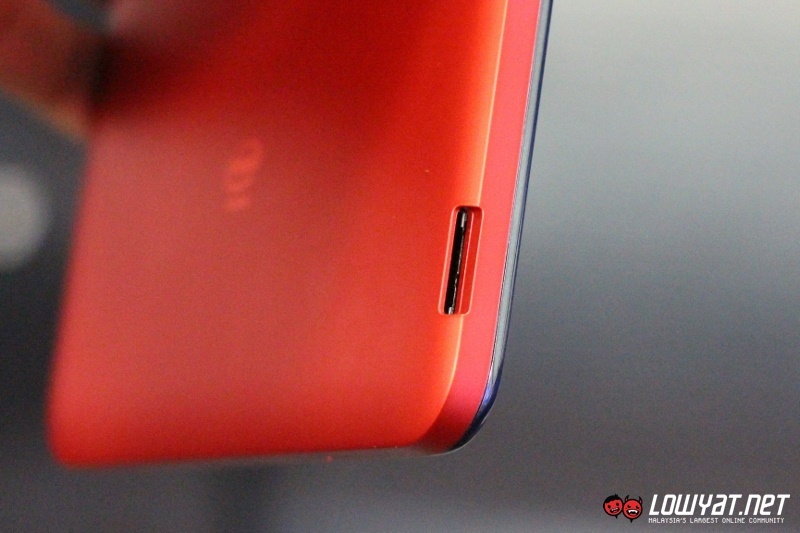 One of the major aspect that differentiate FE171CG and its predecessors is its design. 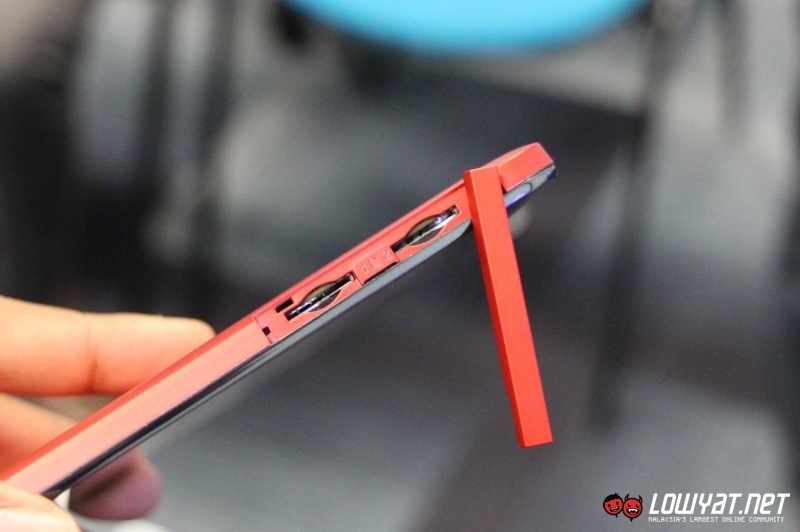 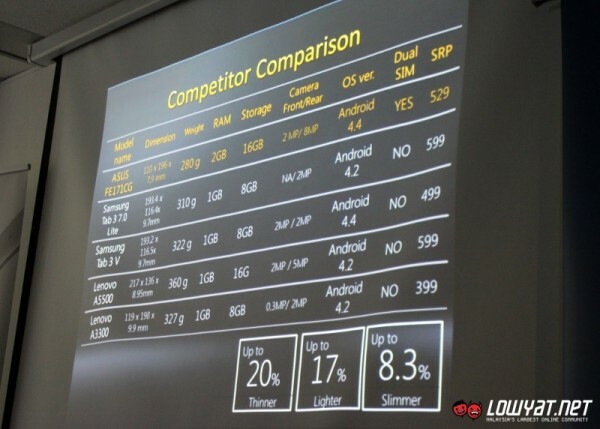 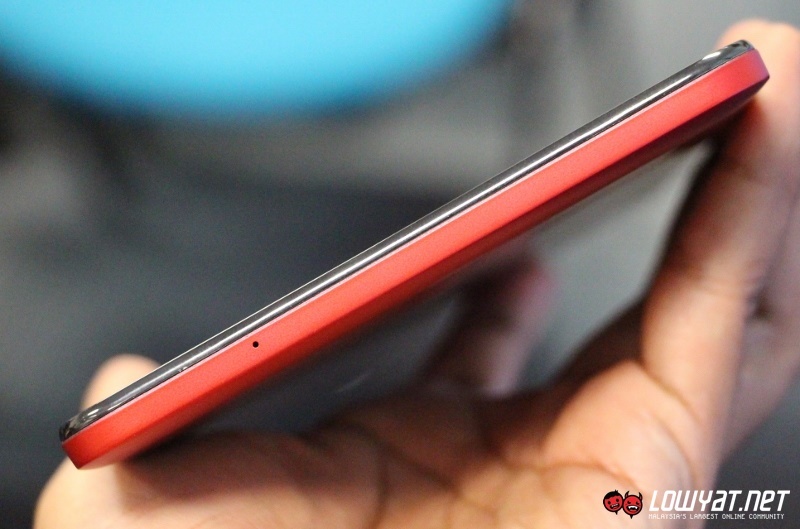 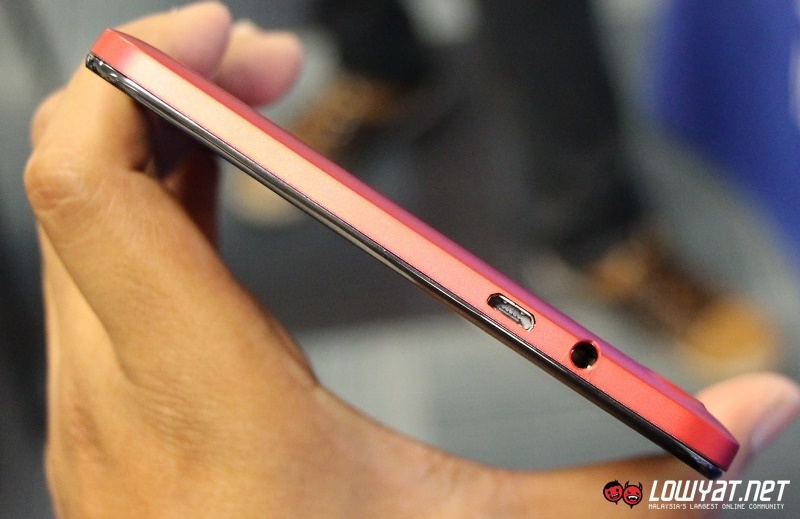 According to ASUS, the newer Fonepad 7 is actually around 2.8mm thinner and 10 grams lighter than the FE170CG. 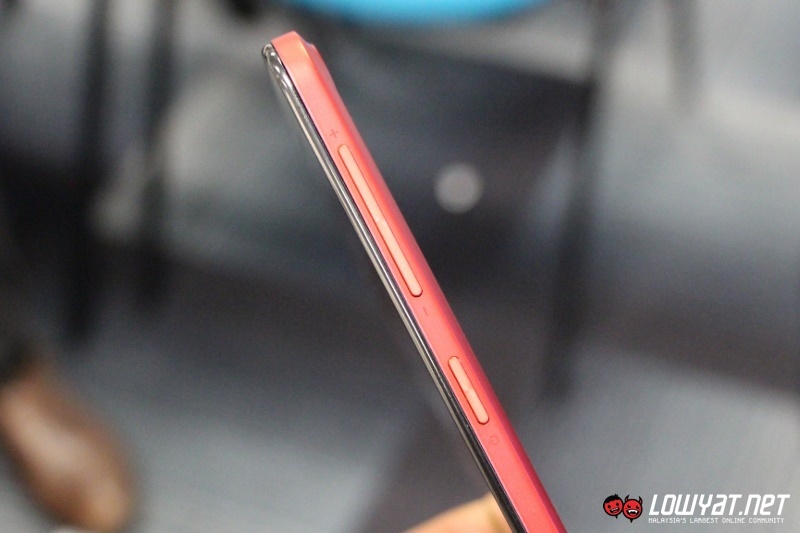 In addition to that, the company also claimed that the device can also be easily operated with just one hand due to its 9.24 mm bezel. Apart from having an IPS panel on its 7-inch display which provides better viewing angle, the FE171CG also features more RAM and internal storage space than the FE170CG with 2GB and 16GB respectively. 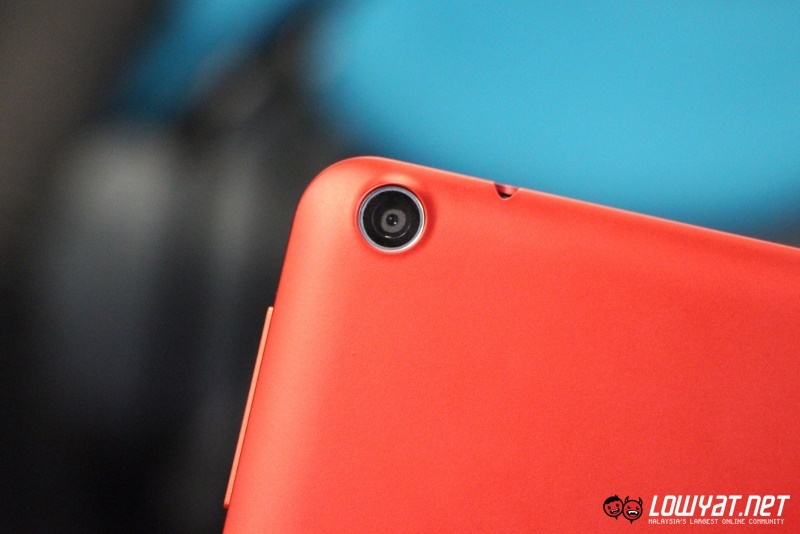 Not to forget, the device also features much more capable cameras in the form of an 8-megapixels PixelMaster camera with F2.4 lens on its rear and 2-megapixels camera on the front. 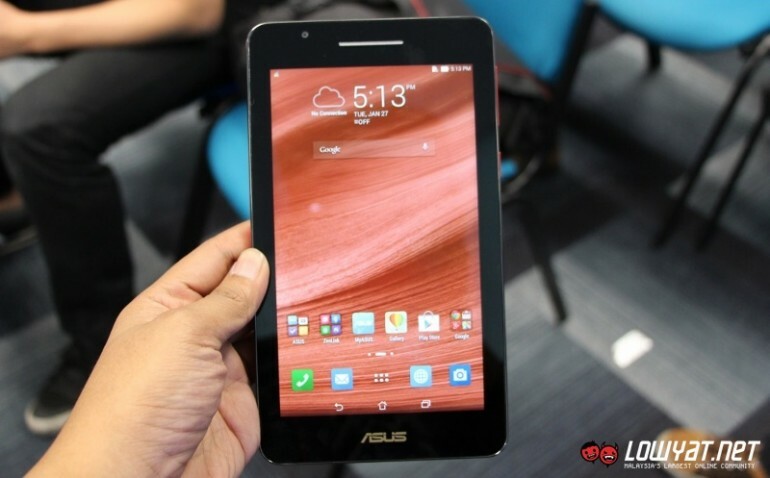 However, the FE171CG is powered by the same processor as per FE170CG though which is the 1.2 GHz Intel Atom Z2520 dual-core Hyper-Threading processor. 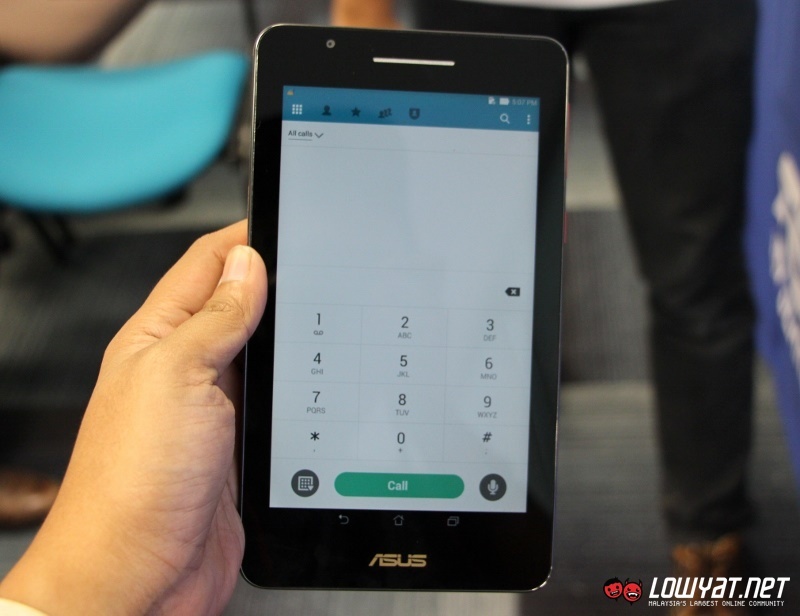 Additionally, both are them also feature dual-SIM dual-standby and telephony capabilities. 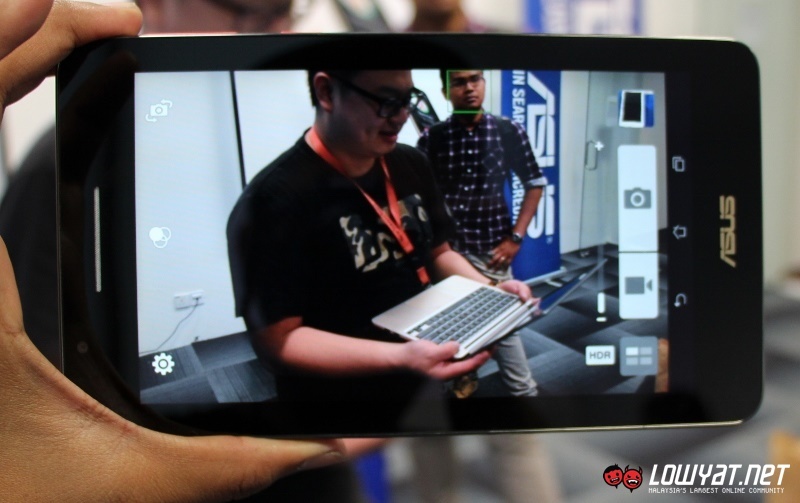 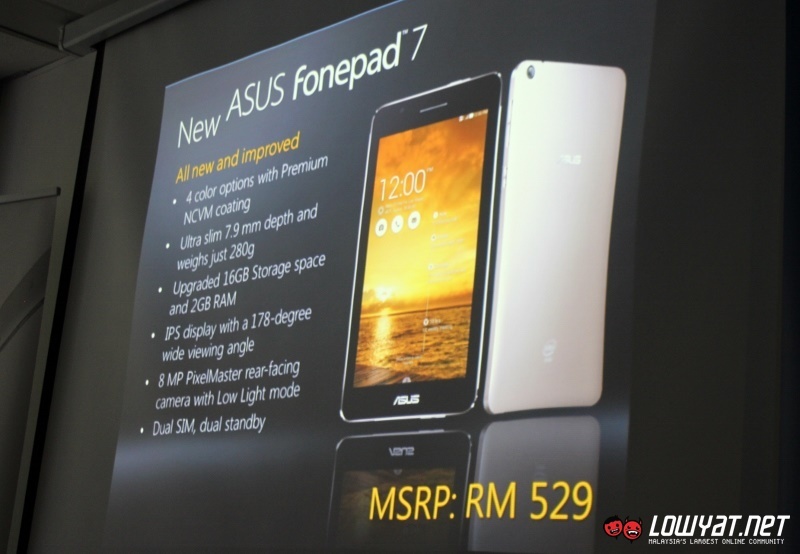 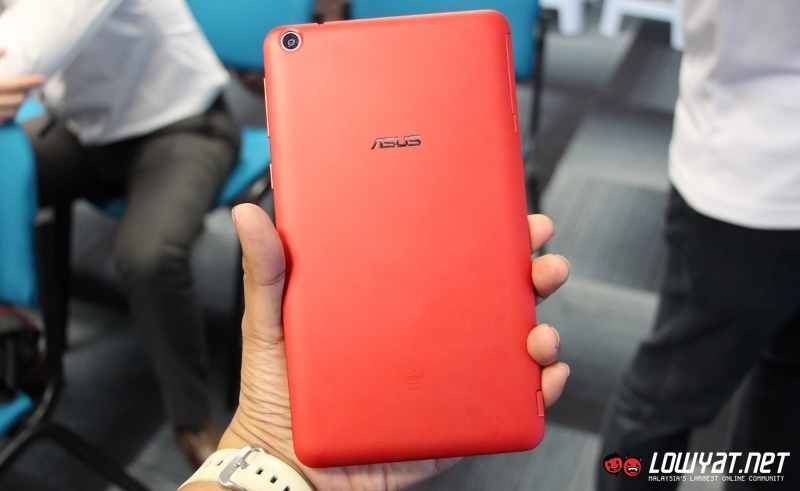 Scheduled for release at all ASUS retailers throughout the country starting from early February, the Fonepad 7 FE171CG will be priced at RM 529.